You probably don’t need me to tell you that mobile is important. According to the National Association of Realtors, 93 percent of Realtors use their smartphones to conduct business — and they spend a median 44 percent of their time working on the go. In other words, mobile is already on agents’ and brokers’ radar. So the question is not whether you’re mobile, but how to choose the right mobile solutions for your business and implement them in a way that maximizes productivity and minimizes headaches. HouseLens has been down that road. We began using apps soon after we opened for business in 2007, and we recently made the transition to responsive design, which allows for full-featured mobile solutions without installing apps or other specialized software. To help you in your mobile journey, here are a few key lessons we’ve learned from the experience. Don’t forget your buyers. According to the 2013 NAR/Google study, “The Digital House Hunt,” 89 percent of buyers use mobile devices in their search — even when they’re at home. This is why at HouseLens we’ve implemented mobile solutions (such as our video marketing platform) that serve not just our customers but their buyers as well. In your business, follow this principle by looking beyond mobile options for customer relationship management (CRM) and other internal functions. If you’re designing a new website, for example, consider using HTML5 and responsive design so the website will adjust automatically to mobile viewing. 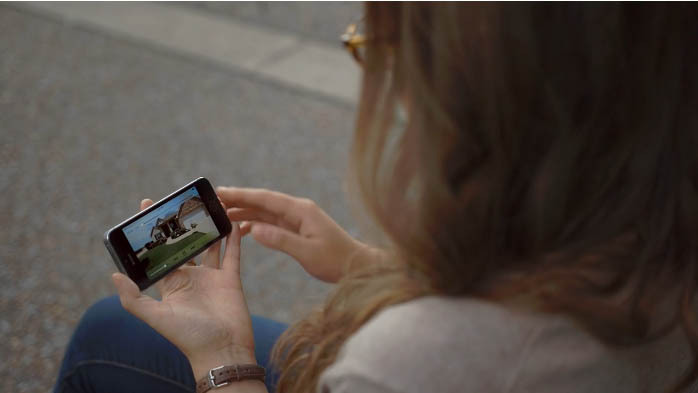 Or seek out mobile-friendly listing platforms that allow buyers to view full property details, photos, and videos from their phones or tablets. Do your research. In this day of constant tech innovation, there will always be a new shiny object to catch your attention. Don’t be seduced by the sparkle. Instead, delve deep to find the mobile solutions that work best for your business. At HouseLens, we use surveys and prelaunch testing to keep us focused on the features and functionality our staff and customers truly need, regardless of buzz. Our design & tech team also read articles and attend conferences to gather expert opinions on which solutions actually work. The same kinds of resources are available to you. Events like Real Estate Connect are a great way to learn not only what’s new but also what’s worthwhile in mobile tech. Can’t attend a conference? Sites like Inman, Placester and Realtor.org offer very helpful articles about mobile technology in general and individual products in particular. You can also join tech-oriented groups on networking sites such as LinkedIn, Facebook and ActiveRain. And most vendors will let you test their products, either through their websites or by downloading a trial version of their software. At minimum, you should test the solution yourself, but you can also enlist staff, loyal customers, and even friends and family to help you choose the right option. Involve the right people. At HouseLens, our CEO and CIO focus on hiring tech staff who are experienced with mobile-first design. This reduces the need for training or reorientation: New staff can jump right in to support our existing systems and design new ones that fit our mobile-first focus. If you want to be a mobile-friendly brokerage, involving the right people might mean recruiting tech-savvy agents who will support your mobile-first mission. You should also make sure you have good tech support and training in place, either on staff or through a contractor. And if you want to hire someone to create custom mobile solutions for you, look for a programmer or vendor with experience in mobile tech (not just general Web design or software programming). Ease into it. While we all love implementing new solutions that make life easier for us and our customers, the reality is that new tech almost always comes with a few headaches. For instance, when we launched our new mobile-first website and video marketing platform this year, both solutions created a learning curve for our customers, and we encountered some unexpected bugs. We reduced the headaches by spacing out the launches and delaying public announcements, and you can do the same. These kinds of accommodations are particularly important if you’re planning to implement more than one mobile solution — say, companywide mobile CRM plus mobile-first website design. Launch everything at once, and you risk overwhelming staff, customers and tech support. But implement your solutions gradually — one per quarter, for instance — and people will have time to learn each solution, gain confidence in using it, and recover from the experience. If your mobile solution is customer-facing, delaying public announcements until at least a week after launch is also a good idea. In combination with staggered implementations, this approach will give your tech team the opportunity to identify unexpected problems before your system comes under heavy traffic. It will also give you the chance to fix bugs and other issues so you don’t repeat them with the next launch. Finding and implementing just the right mobile solutions can be a daunting prospect. But it’s worth the effort. Done right, mobile can boost convenience and productivity for both you and your customers. Have you gone mobile-first in your business or brokerage? What are your tips for Inman readers?